Some People Aren’t Very Good at Ikea. She just got an apartment in Berkeley. She just got furniture from Ikea. She assembled it in one evening. Nuff said. Sara Bareilles to pen score for ‘Waitress’ musical. One of the artists my daughter introduced me to was Sara Bareilles. It appears she’s going to follow in the footsteps of Cyndi Lauper, and do the music and lyrics for a stage version of the movie “Waitress”. “Pippin” director Diane Paulus, who also won a Tony, is helming the show, and Pulitzer Prize-winning playwright Paula Vogel is writing the script. Danny Burstein, Eisa Davis, Raúl Esparza, Judy Kuhn, Anika Noni Rose Cast in City Center Cradle Will Rock. City Center in New York City is doing a revival of “The Cradle Will Rock” with one of Erin’s favorite artists, Raul Esparza. I’m not crazy with their double casting roles, but I guess it reflects economics. I forget whether she saw the musical with us when Blank revived it in 2011. Time Warner Cable increases L.A. Wi-Fi hot spots. Time Warner Cable’s Wi-Fi network in Los Angeles and surrounding areas has increased to 12,000 hot spots as the proliferation of smartphones and tablets drives demand for wireless Internet access everywhere. Time Warner Cable’s Wi-Fi growth is part of a larger effort by an alliance of cable companies to expand mobile wireless Internet access. On Monday, Cablevision, Comcast, Time Warner Cable, Cox Communications and Bright House Networks said they have a combined 150,000 hot spots in the U.S. The combined network lets customers from one company access the Web through other service providers, which is helpful for people traveling outside their home networks, the companies said. How does this relate? We’re using Time Warner for Internet access at home, therefore we should be able to figure out how to use their hot-spot network. The internet will never be a commodity service until it has the reliability of the wired telephone service, broadcast television, or electrical power. This statement brought to you by the Time Warner Internet Outage. Well, the cable modem installation is complete. We had to reset the router (couldn’t remember the &*#@ password), but that solved the router problems and I’ve changed the password to something I can remember). The connection seems faster than the DSL, although the CNET speed test actually shows it as a bit slower. Could just be network congestion. ETA: An earlier test showed it slower. But it was clearly network congestion. Whereas the DSL line was ~1Mbps, the test just showed the cable modem at ~10Mbps, and I’ve seen it up to ~16Mbps. The only thing that is odd is that I wasn’t given a TWC/Roadrunner login and password. No mind, as I went to their site and figured it out, and have already set my mail to be forwarded. I’m guessing I’ll eventually be sent some sort of welcome package. The modem itself looks pretty idiot-proof. So we’ll see how this goes. The good thing is that now we have three independent systems: if the phone goes out, we still have Internet. Once we’ve gotten all the email off of Earthlink, I’ll call them and cancel it. Roadrunner Internet has been ordered. The install is scheduled for Monday, when I’m home for a doctor’s appointment. I’ll cancel Earthlink once the new service is up and running, and (hopefully) the service drops will become much more infrequent. We’re seriously considering moving to AT&T Uverse (bundled Internet+ Phone); we’re sticking with DirecTV for TV. I’d like some opinions on U-Verse? I’d also like to know if the 12Mbs is a reasonable package (we’ve been on DSL)? If we go with the 12Mbs package, the cost would be $80/month ($69.95 for the first year), plus a one-time modem fee of $100 and installation of $149. If we go with the 18Mbs package, it is $93/month, plus $149 installation fee (no modem fee, it appears). Is anyone using U-Verse? What is the reliability of their internet service? What is the quality of their phone service? How good were their installation techs? I’d welcome any opinions (link to opinions on los_angeles). Well, our Internet is back. After an hour on the phone with Earthlink, it appears the problem was the ZyXEL modem. Luckily, I had our old Broadmax modem, and connecting it up solved the problem (after all the futzing with system settings for naught). We’re seriously thinking about ordering U-verse for voice and Internet. I have a number of questions; I’d welcome an opinion from those that have Uverse. 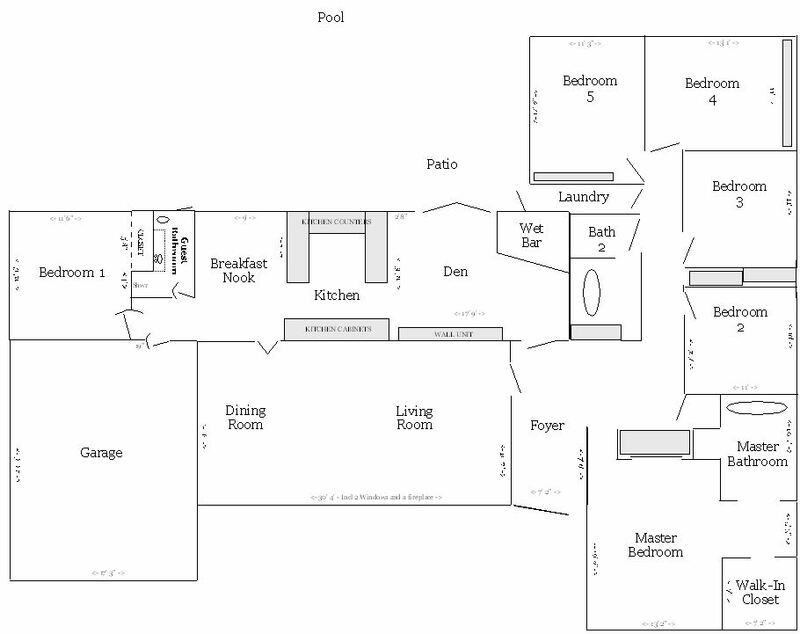 You can see a layout of our house here. Looking at the layout, all the computers, which are hardwired Ethernet, are in Bedroom 3. The current telephone service comes in, however, on the other side of the house in the garage. Should they be able to work this out, since I figure their remote gateway will need to be in Bedroom 3. What would be the right package? I’m thinking the 12Mbs download package, but I’m willing to hear arguments for other speeds. Are there any other concerns about this service I should have? Does anyone else have U-verse and can speak to its reliability?